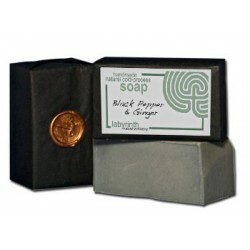 The warm, spicy oils of Black Pepper and Ginger are associated with toning and stimulation of the skin. Their properties can help provide relief from the symptoms of arthritis and rheumatic pain as well as assisting in the soothing of general aches and pains, colds and flu, and relief from tension headaches. 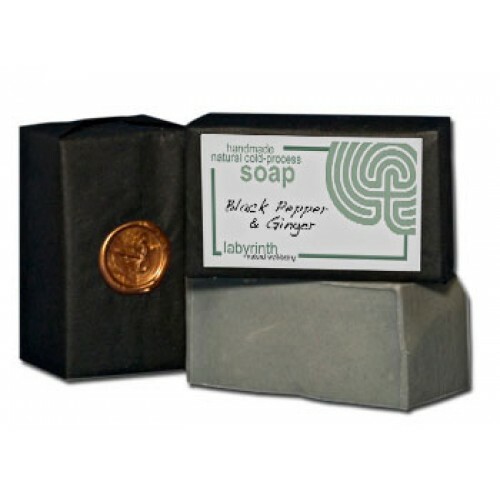 Olive Oil (Sodium olivate), Coconut Oil (Sodium cocoate), Regulated Palm Oil (Elaeis guineensis), Spring Water (Aqua), Black Pepper (Piper nigrum), Ginger (Zingiber officinale), Black Clay (Iron oxide), Black Tea (Triethanolamine). Naturally Occuring: Linalool, Citral, Limonene.